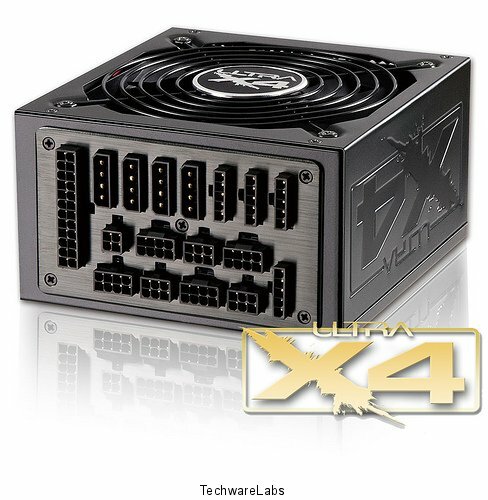 Ultra, the company who’s claim to fame is inventing the modular power supply, brings us another one of their X4 creations. This 1050 Watt installment is very similar to the 850 Watt version that we reviewed a while ago. Their last power supply got good marks in the lab, lets see if their more powerful version can pull off the same. At 1050 Watts this power supply is targeted towards users with power hungry systems. A look at the number and type of connectors on the rear of the power supply indicates that it is clearly meant for a computer with many components key of which are PCI-E video cards. i wish they would have skimped on the cable back and used nicer modular cables. the x2-x3s were alot nicer.